Myofoam Deep Tissue Massage Balls combine the benefits of foam rolling, deep tissue massage and trigger point therapy so you can go beyond treating pain and discover new levels of well-being and personal performance. The Deep Response Technology in Myofoam brings a revolutionary breakthrough material to the field of massage therapy. Exclusive high pressure cells within the foam retain the rebound needed to gently and accurately treat trigger points deep within muscle tissue. 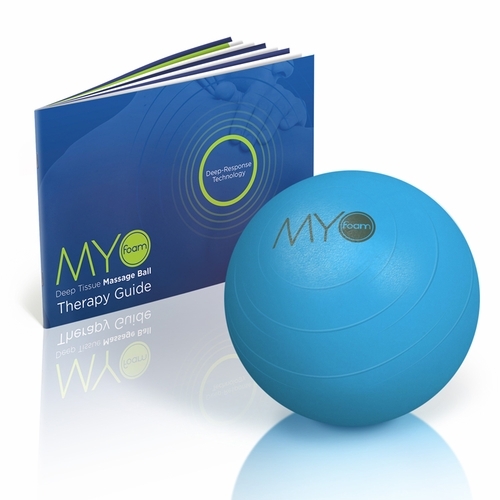 Myofoam Balls are sized for precise therapy in every muscle type and include our 24 page full color guide packed with images, illustrations and sample therapy sessions so you can get effective results right from the first session. Myofoam Deep Tissue Massage Balls outperform other therapy products with a new high tech foam designed specifically for Trigger Point therapy. Unlike air filled balls that crush to a blunt face before reaching trigger points and rubber balls made for sport that pinch and bruise sensitive muscle tissue, Myofoam Balls with Deep Response technology retain the suppleness ideal for soft tissue therapy even while working deep within larger muscles. 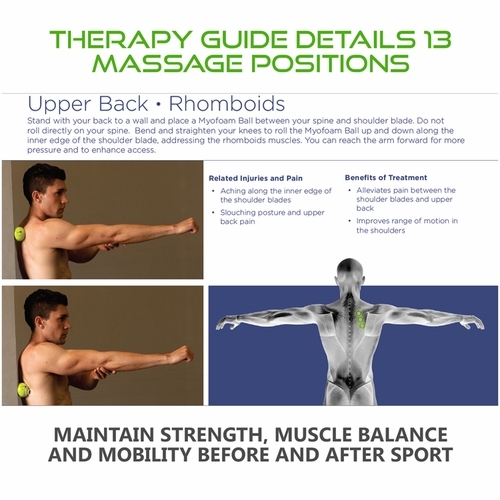 Improved performance makes each therapy session enjoyable and more effective so you reduce pain, naturally improve posture, increase range of motion and regain maximum strength in less time and with better results. 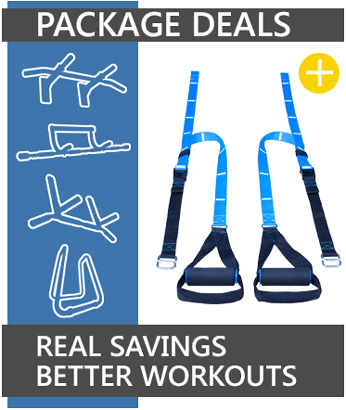 Myofoam is unlike anything you have ever tried and your satisfaction is guaranteed. Myofoam Deep Tissue Massage Balls go beyond foam rolling with high performance precision so you can significantly decrease pain and improve muscle function in as little as one self-care therapy session. Using the 24 page full color guide and the Deep Response Technology in Myofoam balls you can treat yourself as well or better than a professional therapist. Myofoam Deep Tissue Massage Balls get effective results in less time. Your satisfaction is 100% guaranteed, order yours today. 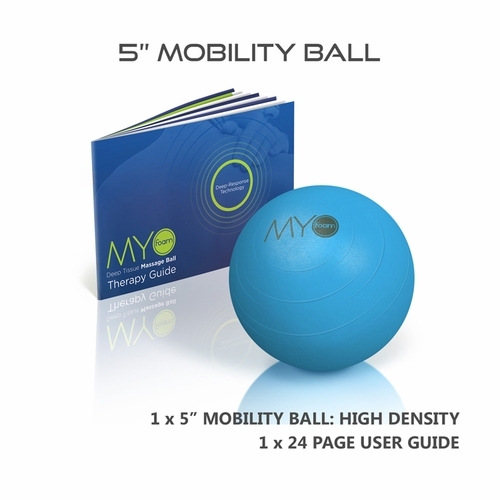 � Pack includes 24 page guide and one 5 inch high density Myofoam Ball. 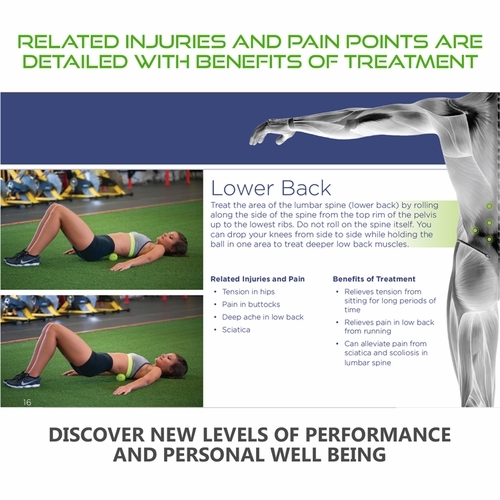 � Myofoam Deep Response Technology is a revolutionary material and a breakthrough in the field of massage therapy that combines the benefits of foam rolling, deep tissue massage and trigger point therapy. � Innovative closed cell foam will not collapse under pressure like inflatable products � retains shape and rebound for accurate soft tissue work without the pinching and bruising of a hard rubber ball. 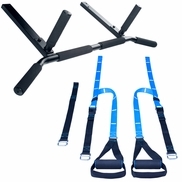 � Break up scar tissue, eliminate painful trigger points and improve muscle function for new levels of health, well-being and personal performance. � Reduce and eliminate the drain of energy on muscles caused by Trigger Points. 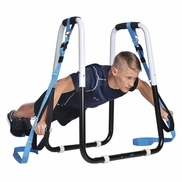 Muscles immediately regain strength, elasticity and endurance. 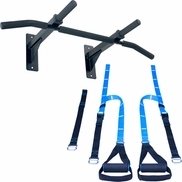 � Balance tension pulling on joints to reduce wear and tear on cartilage and risk of injury. � Myofoam Balls are warranted for one year and include USA tech Support and 100% Satisfaction Guarantee.